Prior to the presidential election, the Obama administration enacted a new rule that granted a right to overtime pay for any employee who made less than $913 per week in salaried pay. The rule was slated to enter into effect on December 1, 2016, before a Texas federal judge put a stay in place that prevented the rule from becoming the law of the land. Since that time, the change in administration has brought even more negative attention to the rule at the federal level. In contrast, the California state legislature is currently considering legislation that would provide the right to overtime pay to more workers. President Obama introduced new regulations in May of 2016 regarding which employees can be considered exempt from receiving overtime pay that most notably raised the minimum threshold salary to nearly twice what it had been previously. Many large employers protested this change, and one class of over 55 business groups filed a federal lawsuit in Texas challenging the rule. On November 22, 2016, a federal U.S. District Court judge put a temporary stay in place that barred the rule from entering into effect, and has recently issued a decision that permanently rejects the rule. Meanwhile, the Department of Labor under Trump indicated its interest in rejecting the Obama administration’s version of the rule in favor of one with a lower salary cap. The Department of Labor is currently accepting comments on a revised version of the overtime rule through September 25th, 2017. With the fate of the federal rule in serious jeopardy, members of the California legislature have taken steps to enact overtime protections at the state level. As of now, the minimum amount that a salaried employee can be paid in order to be exempt from receiving overtime is twice the current minimum wage. These employees must also pass the “duties test,” which ensures that the employee regularly exercises independent judgment, among other requirements. 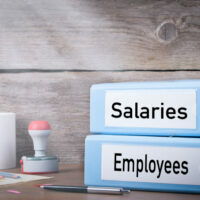 The California Senate is currently considering AB 1565, which would accelerate the pace at which the minimum salary for exempt employees is increased. Under the law, all California employers would be required to pay an exempt employee a minimum salary of $47,472 as of January 1, 2018. Under the existing law, smaller California employers will not be required to pay exempt employees at this level until 2020. The new law would also eliminate distinctions in mandatory minimum pay between employers with 26 or more employees, and those with 25 or fewer employees, as provided under the current law. The constantly-shifting laws on overtime pay has caused confusion among both employers and employees. For guidance on the current state of the law, which changes by the day, contact an informed California employment attorney. If you’re a California employee who has been the victim of discrimination or nonpayment of wages at work, or an employer with concerns about compliance with the law, contact the knowledgeable and seasoned Bay Area employment law attorneys Richard Koss and Rand Stephens for a consultation, in Antioch at 925-757-1700, or in Redwood at 650-722-7046.